Bronco, Bronco, tearin’ across the Texas plain. that’s how he got his name. Okay, you gotta pay attention here. But there’ll be no quiz. 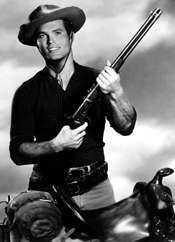 Clint Walker walked off of Cheyenne so Warners thought to replace him with Bronco Layne (Ty Hardin) even though the show still had the titleCheyenne. 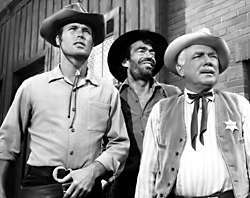 Then Walker returned in 1959 and Bronco became a separate show. In the 1958-1959 and 1959-1960 seasons, Bronco alternated weeks with Sugarfoot. 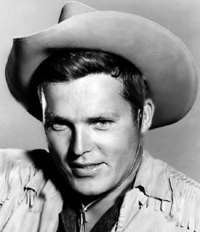 Then in 1960 Bronco Layne returned under the Cheyenne umbrella, rotating weeks with Walker as Cheyenne and Will Hutchins as Sugarfoot.Sugarfoot was dropped from the group in 1961 and just Cheyenne and Bronco alternated weeks. Aren’t you glad I said there wouldn’t be a quiz? Bronco was a former Confederate Army captain who wandered the West. TV Guide’s Bronco Page, with TV Listings, Photos, Videos, Exclusive News and More.